Increase production without adding staff by prompting the brewers when a critical manual task is necessary. Improve quality, repeatability and consistency by automating manual tasks, ensuring that they occur at the precise time or optimum condition, or linking with manual tasks. Reduce energy usage (heating and cooling) by linking the brewing equipment such as chillers to the fermentation tanks. Boost productivity of your staff by reducing the number of hours required to tend to the process, allowing them to focus on other tasks in the brewery. 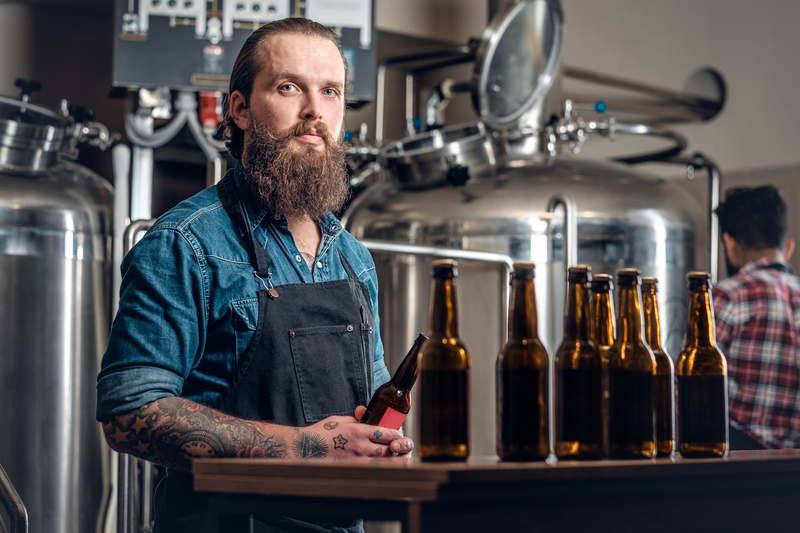 Improve the work environment for brewery staff by adding technology that makes their jobs easier. Expand the flexibility of your process to help the brewers create new recipes, modify existing recipes and try new products without the need of hiring an engineering company. Synchronize Batch reports with Recipe Unit Procedures allowing the brewer to concentrate on creating the brew recipe and eliminating custom engineering to create Batch reports. Partner with Achieve|DE and Siemens, the World Leader in Brewery Automation. Whether you have a micro, craft, regional or large brewery, we have the solution for you. 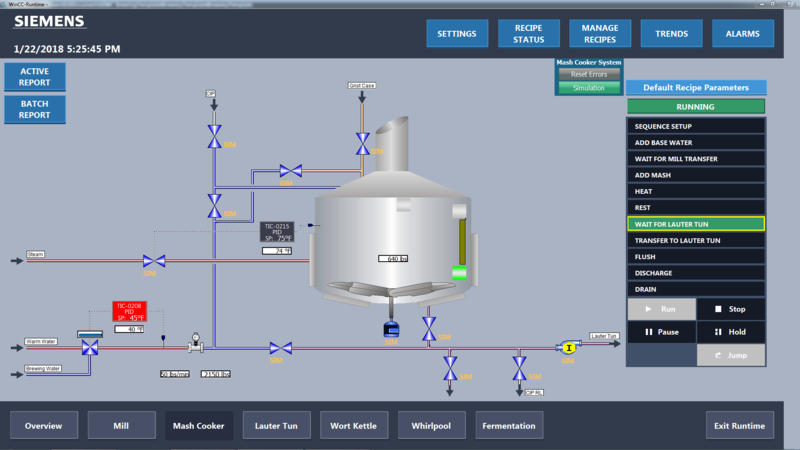 The Siemens Brewing Template is designed for your operation. It combines Siemens brewing industry expertise with the standard S7/TIA Portal automation platform renown as the worldwide leader. 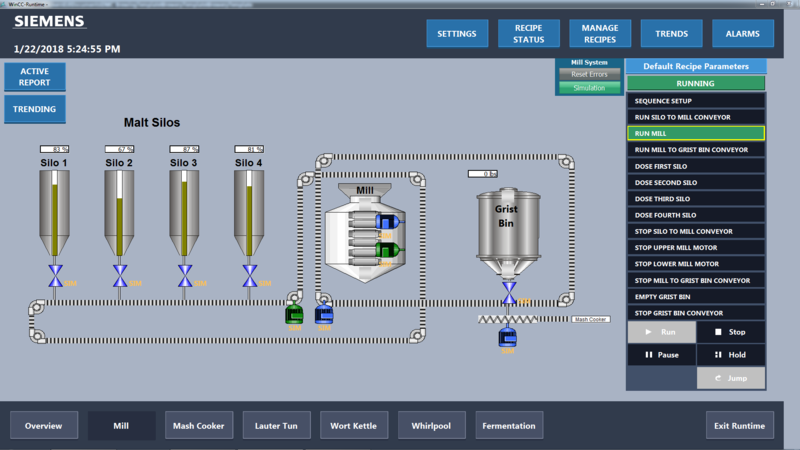 Design criteria includes a simple, easy to use, fully scalable Template for breweries to maintain themselves or if they choose, with assistance from Achieve|DE and our system integrator partners. The Libraries used are fully open source where a user can modify to meet their exact needs. The template application is based on customer feedback and over 35 years of experience in the brewing market with breweries big and small. A Toll-Free Support Hotline is available should the need for assistance with your Siemens products be necessary. A Software Update Services (SUS) is available to maintain your software on the latest technology. Siemens is also a major supporter for all worldwide brewing organizations including the World Beer Cup, MBAA, BA, ASBC, Weinstephan and more. For smaller breweries or just fermentation cellars you can create a single Recipe Sequence for the entire brewhouse in S7-Graph flow chart programming and have an infinite amount of Recipe formula parameter sets that the Recipe Sequence can run against. 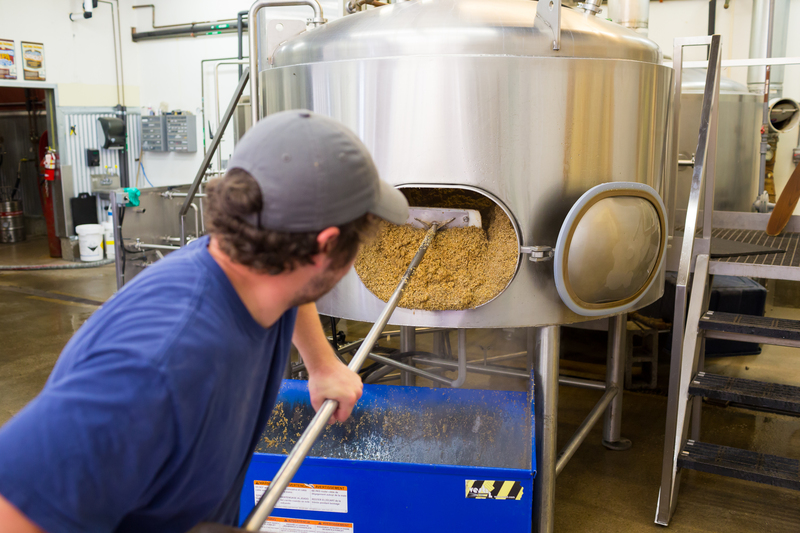 This provides the brewery with an unlimited number of recipes they can run. For complex recipes or different beer styles the Recipe Sequence can be controlled by parameterization of the Recipe Parameters. To learn more, contact Achieve|DE by using the form below.